Claire is our first winner. Congrats. Mr. Burns is number two. Jack is number three. 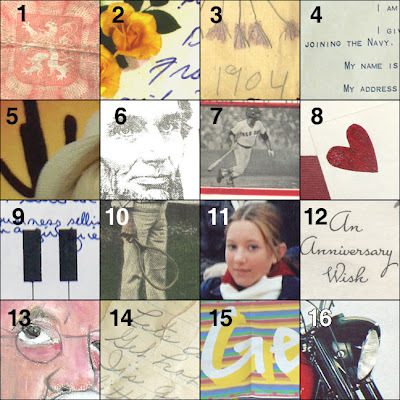 Thanks to all who entered, and keep an eye in the mail for your books. I'm hoping this one will be the best yet. 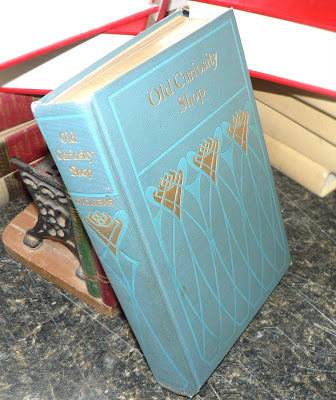 "Old Curiosity Shop' by Charles Dickens - this is a nice and clean Rand McNally edition, gilt decoration and lettering on cover and spine, gilt top edge. No date, circa 1905. 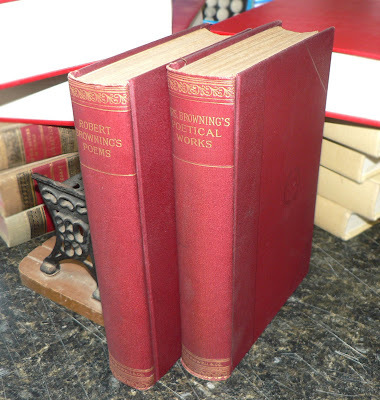 Two matching volumes from Thomas Y. Crowell, "The Poetical Works of Elizabeth Barrett Browning" and "Poems of Robert Browning." Both columes are marked as "Astor Editions," and are from 1900 or so, no date indicated. "Ivanhoe" by Sir Walter Scott, published by Thomas Nelson, 1909. 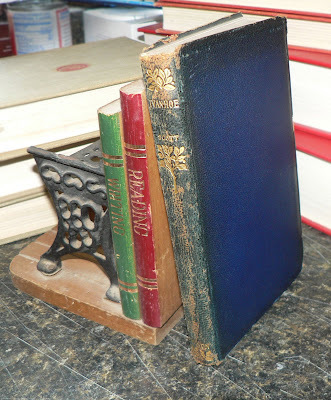 Blue flexible leather cover, gilt decoration on spine. A little worn, but hey, it's 100 years old - and free. To email me, simply use the CONTACT link above, or click here.